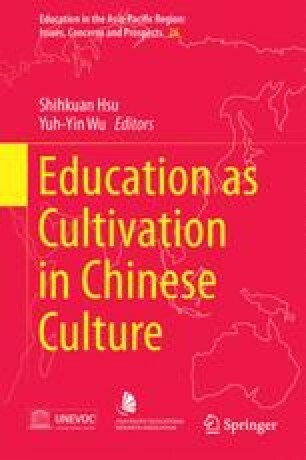 In order to understand the meaning of education in Chinese culture, the concept of cultivation was analyzed. Three factors influencing the Chinese practice of education emerged from the review of the concept of cultivation: the transformable quality of human nature, the high expectation of self-cultivation, and the intertwined paths of virtue cultivation and the social mobility ladder. While virtue cultivation is the focus from prenatal existence to elementary education, effort for studying and preparing for examinations is the focus of secondary education. Tentative explanations have been offered for children unable to follow the traditional path, the pursuit of individuality in Chinese education, and the existence of virtue cultivation in current educational practice. As a result of this renewed understanding of the importance of cultivation for education, reformers should revisit the topic so as to find a new direction for contemporary Chinese education.